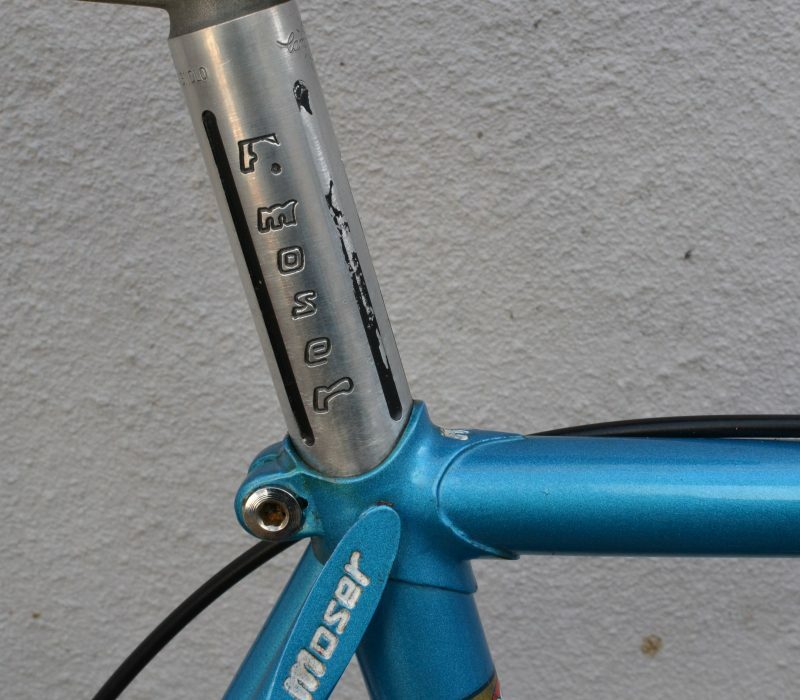 Francesco Moser nicknamed “Lo sceriffo” (The sheriff), is an Italian former professional road cyclist. 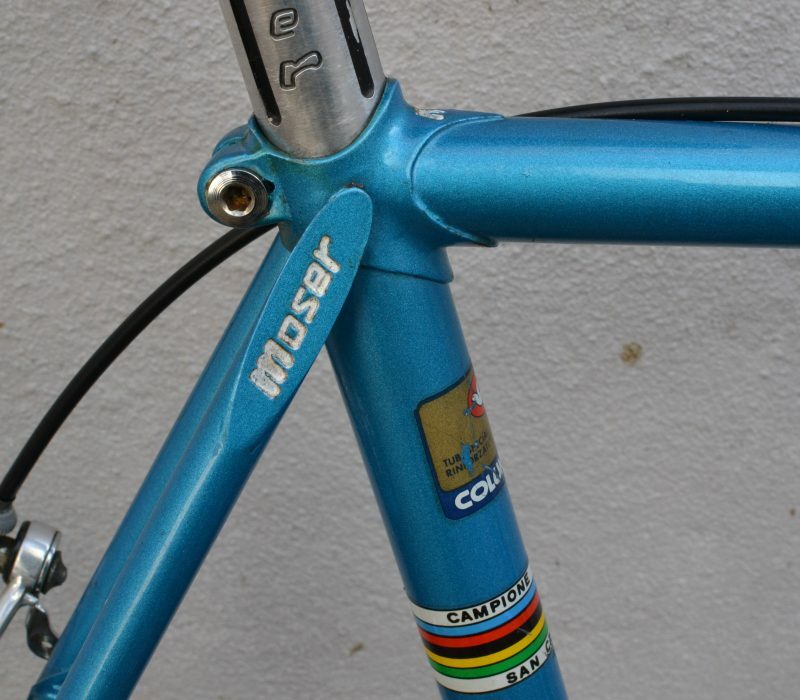 Moser won the 1977 world road racing championship in San Cristobal, Venezuela, in front of Thurau and Franco Bitossi. 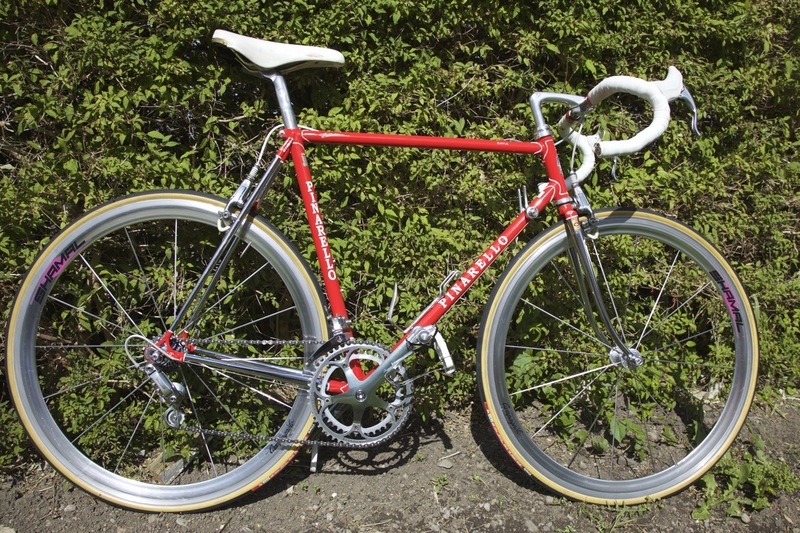 In honour of this achievement a bike named the ‘San Cristobal’ was built by his company in the early eighties. 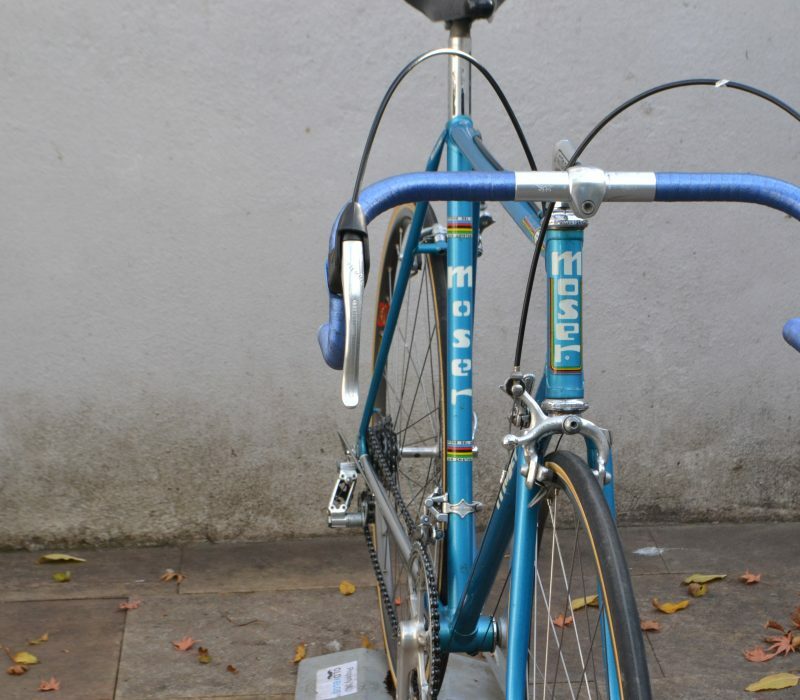 The bike you see here is a fine example of this bike. 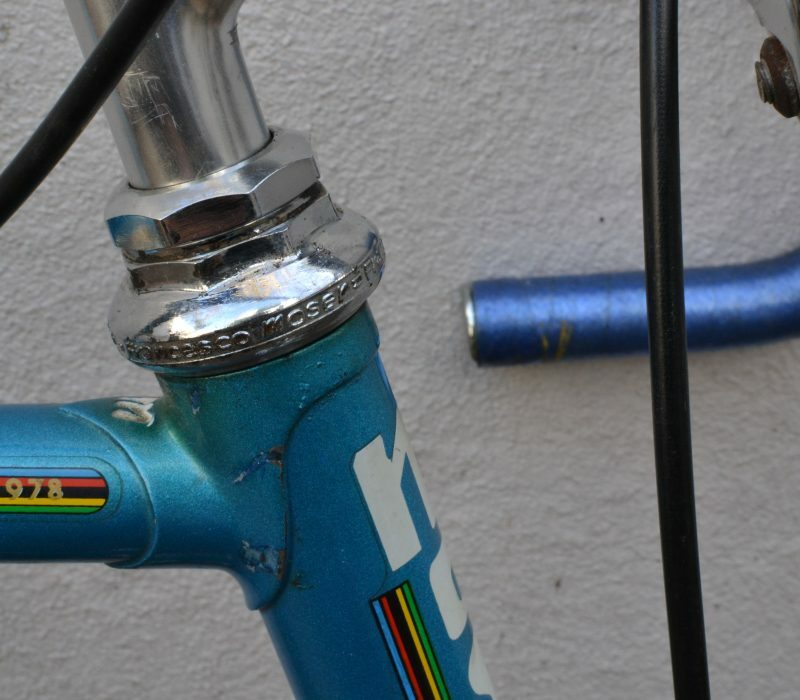 The components are a mainy Gipiemme and all pantographed, as is the TTT stem. 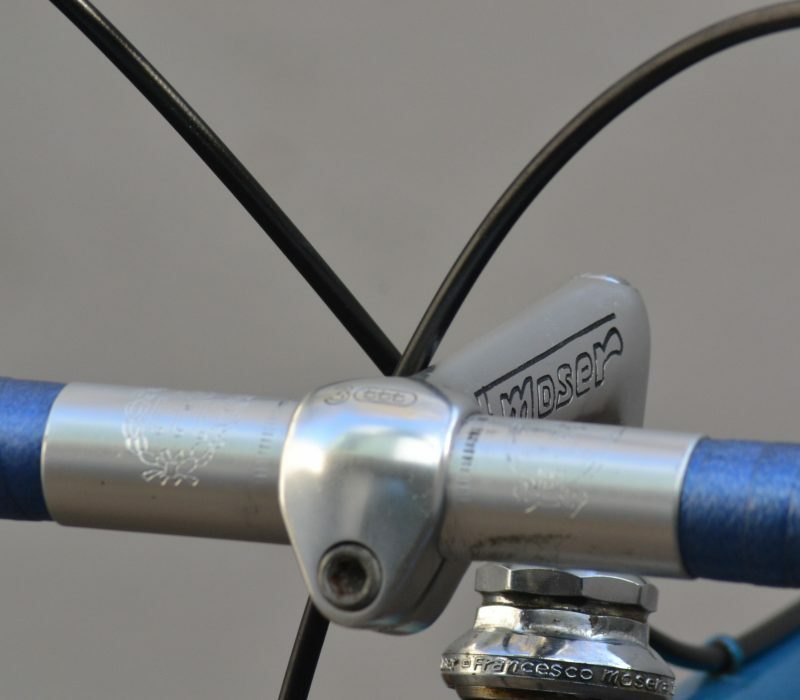 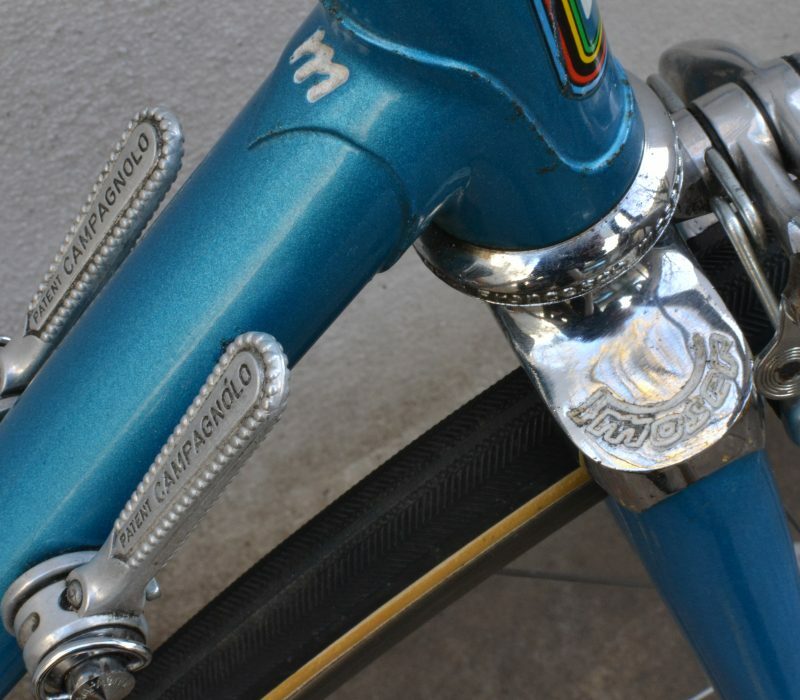 The chromed fork crown is also pantographed. 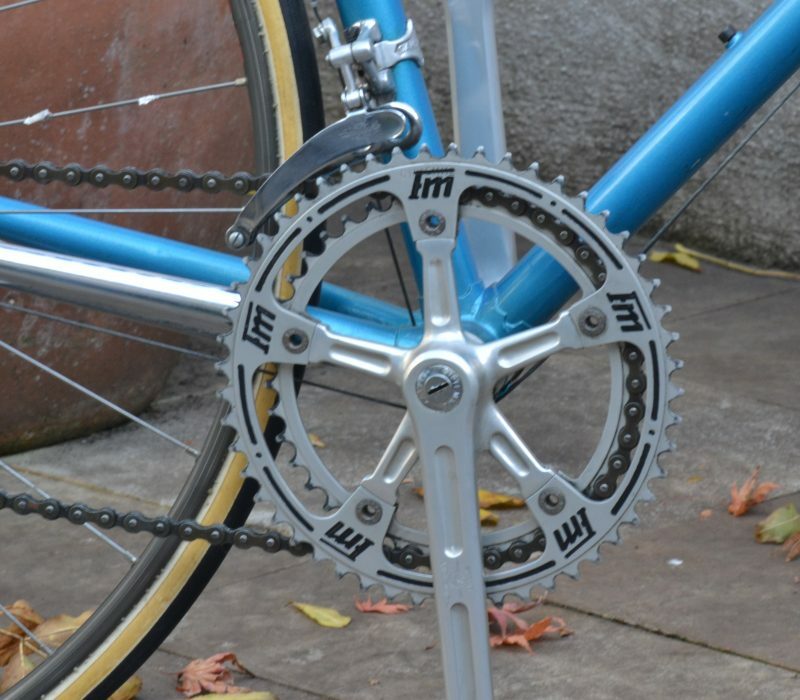 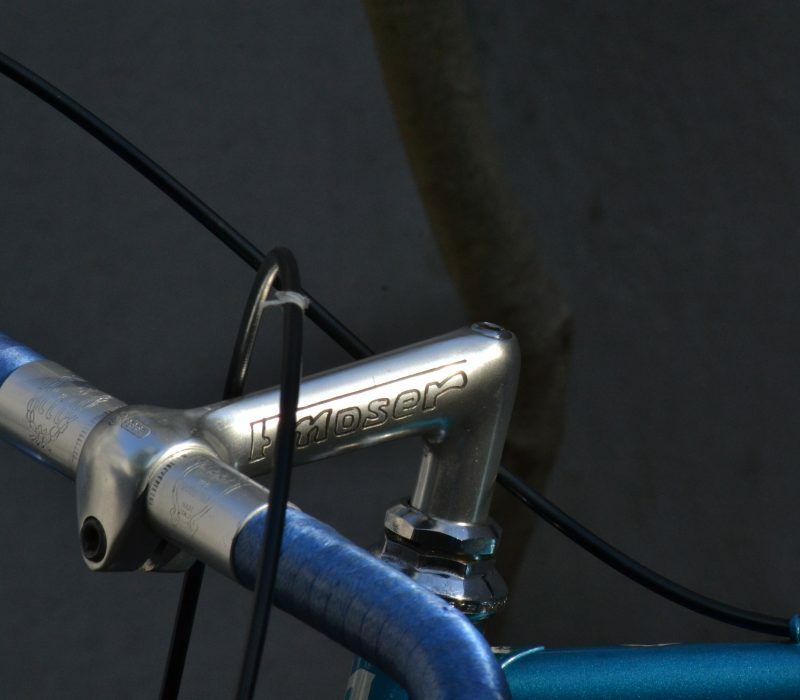 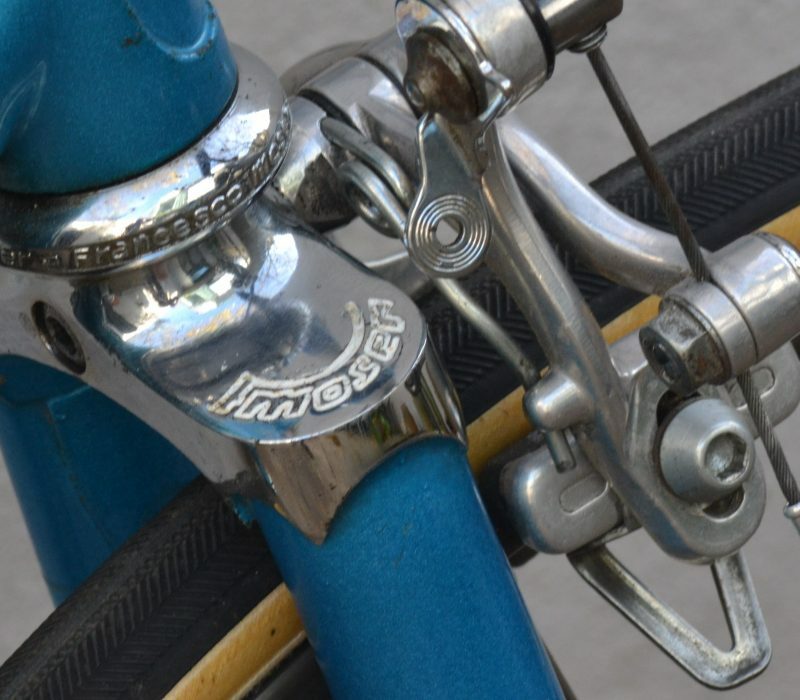 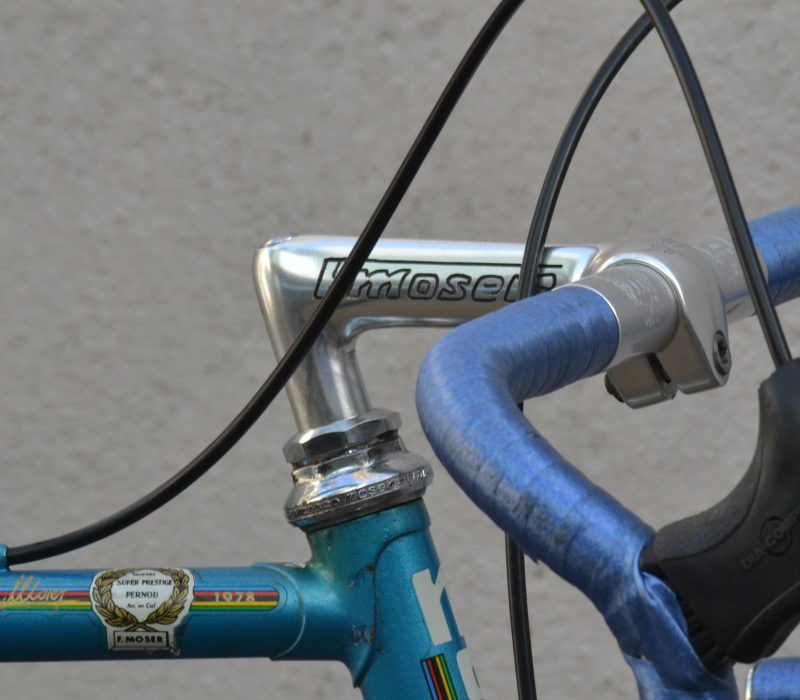 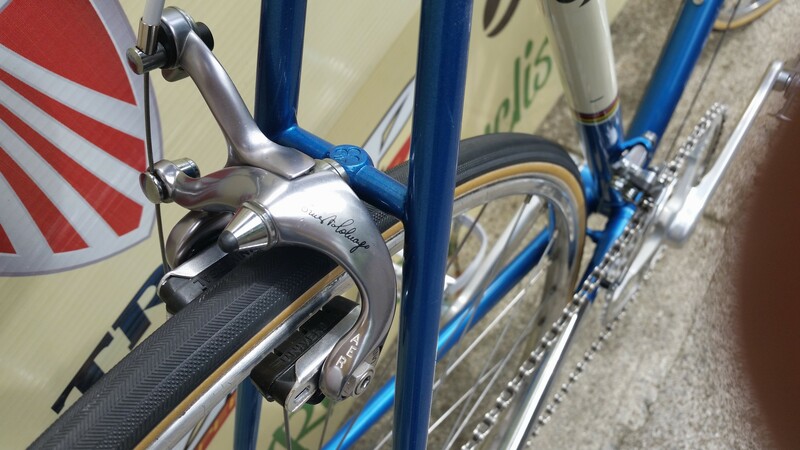 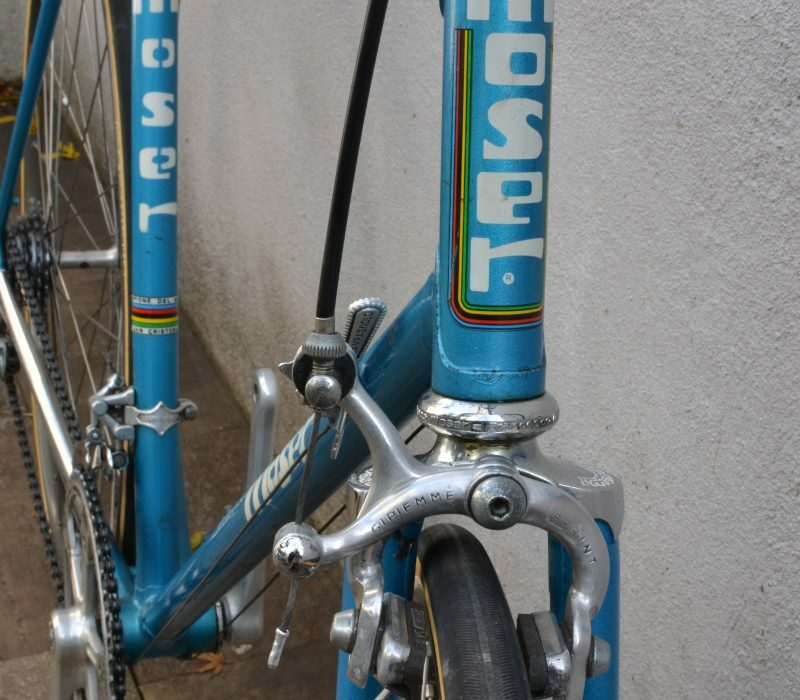 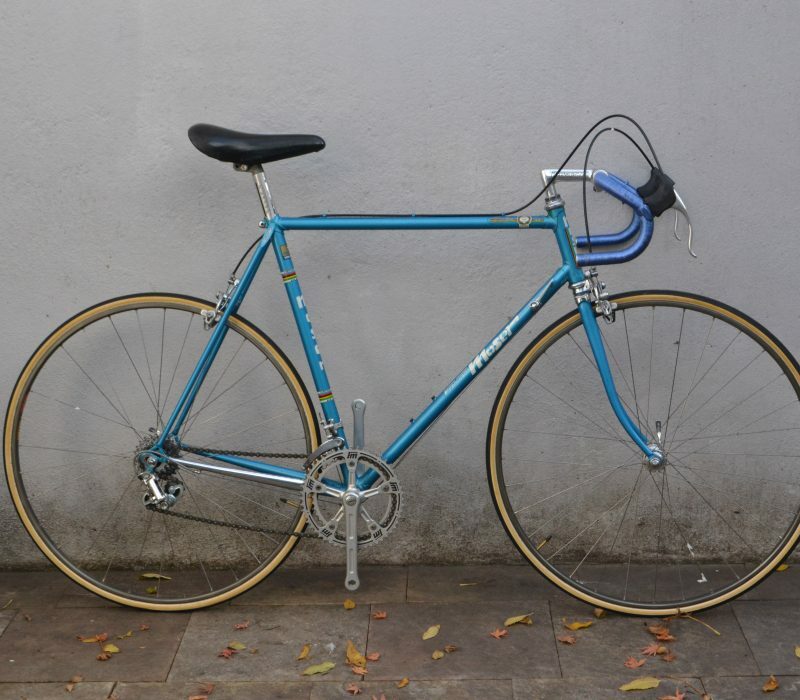 A unique feature of this bike is the bespoke Francesco Moser headset. 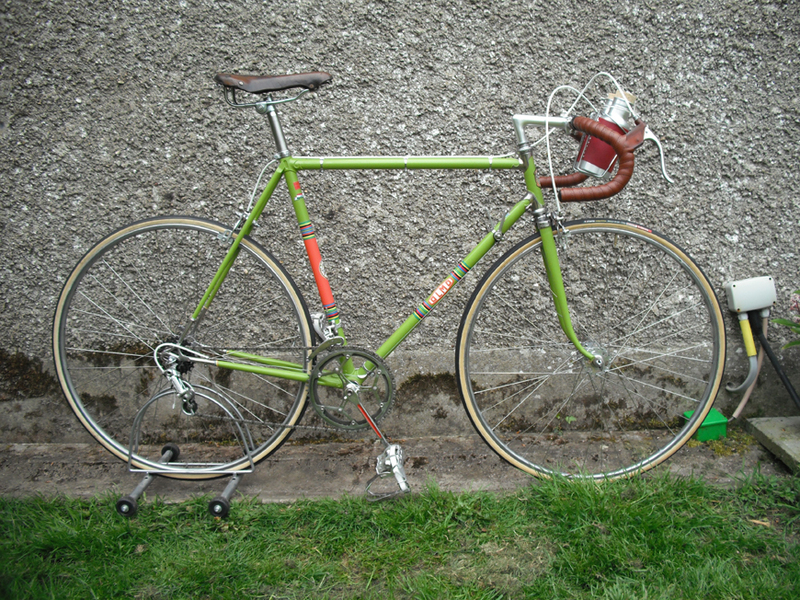 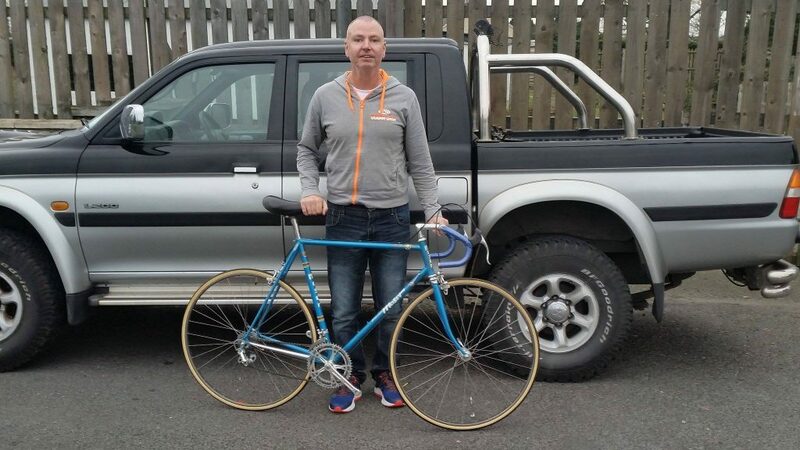 The bike was originally purchased in France and is now owned by John Tierney in Waterford, Ireland.